In 1987 Minoru Kasuya joined a project to establish International Pacific College in New Zealand, one of the first private tertiary institutions with degree-granting authority. He was awarded Member of New Zealand Order of Merit in 2000 for his service to education. Minoru originally studied political science and law at University of Tokyo. After graduation, he worked at Sumitomo Bank, mainly in the area of international banking including sovereign risk loans to South American countries and project financing for Euro Tunnel, North Sea oil fields, and natural resources projects in Australia and Canada. Later, Minoru was seconded to the Auckland office of the Japan External Trade Organisation (JETRO) whose operations fall under the Ministry for International Trade and Industry; and the Japan Centre of International Finance (JCIF), a research institution analysing country risk under the Ministry of Finance. From JETRO he joined the project to found IPC. He worked at IPC for twenty years and was Chief Executive from 1998 to 2008. Minoru studied for his MBA in Higher Education Management at the Institute of Education, University of London from 2008 to 2010, supervised by Professor Sir David Watson, one of the top authorities on higher education in the UK. In 2011 he established the Foundation for Higher Education Studies in Japan and also took up a chairmanship of Educational Research Foundation. 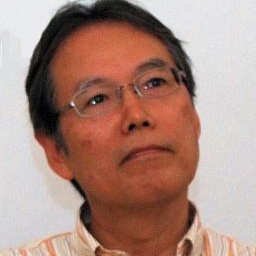 Minoru is a Fellow of the RSA (Royal Society for the encouragement of Arts, Manufactures and Commerce), and has advised Prague College on its governance and the establishment of the Advisory Board based on his twenty years' experience at IPC. He has also taken up the role of Alumni Ambassador in Japan for the Institute of Education since 2013.